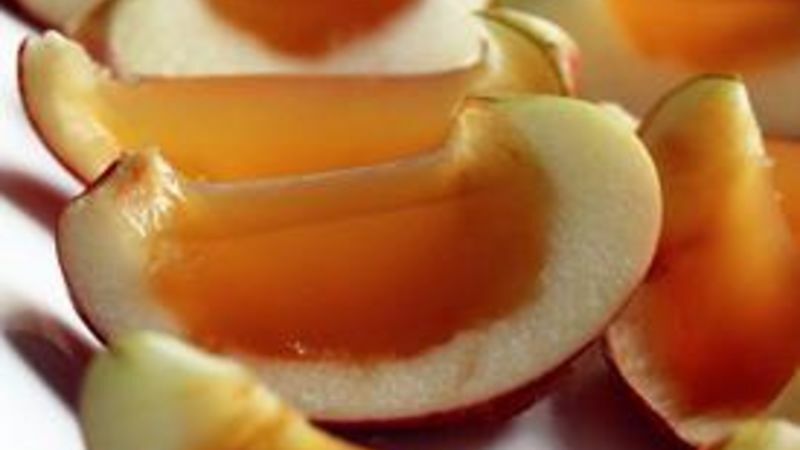 In a small sauce pot, pour in apple cider and sprinkle the unflavored gelatin on top. Do not stir, let sit for five minutes to stabilize. In the meantime, juice your two lemons in a small bowl and set aside. 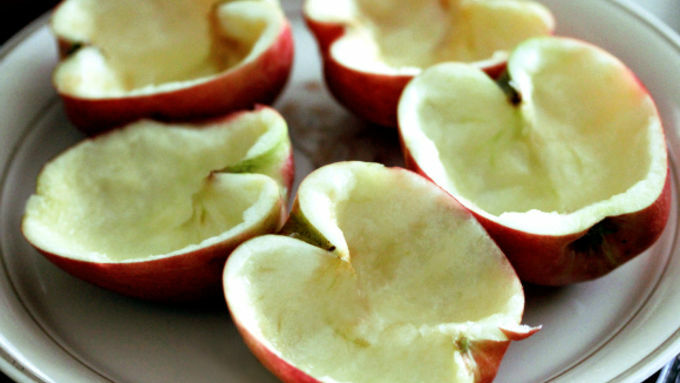 Cut your apples in half and with a spoon, core out the flesh to create little apple cups. Place apple cups on a rimmed baking sheet. 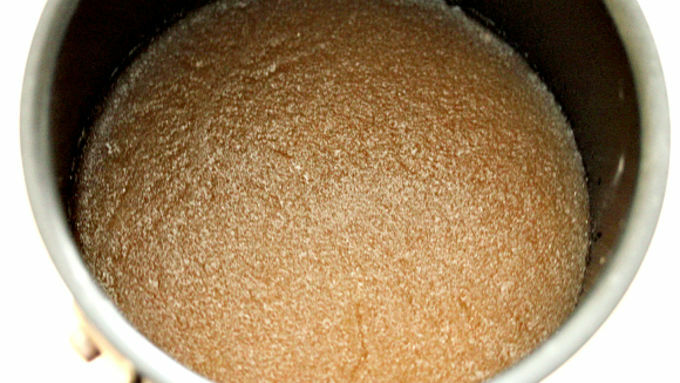 Now whisk the gelatin and apple cider. Gently heat over low heat, constantly stirring to make sure the gelatin dissolves. 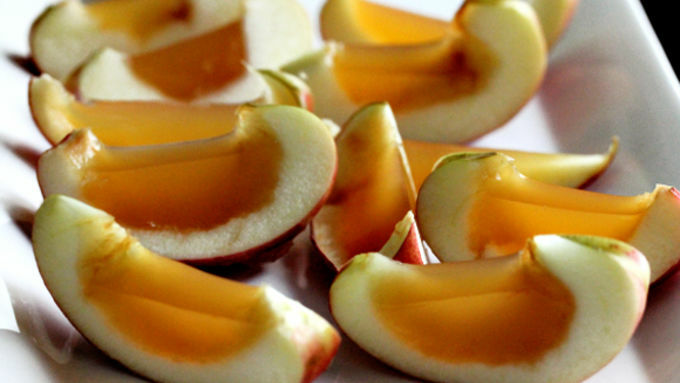 If making these adult apple slices, add vodka. 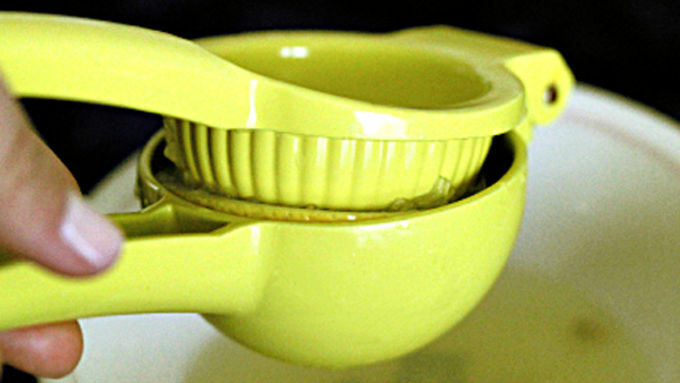 Once gelatin mixture is ready, gently ladle into the prepared apple cups. Place in fridge overnight, then cut into slices and serve cold. Fall is coming! Fall is coming! Who else is excited that it’s finally apple season? 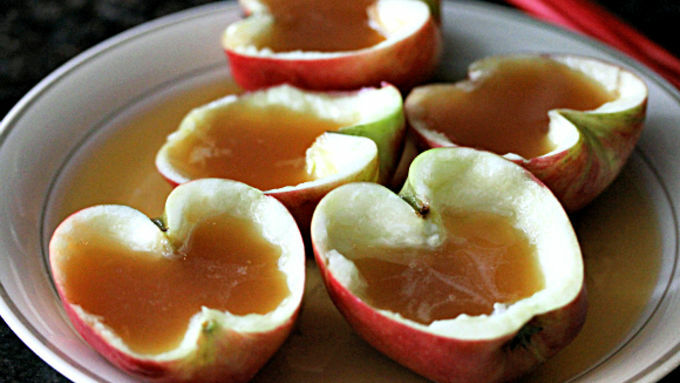 Celebrate fall with Apple Slice Jelly Shots. They are perfect for a party. You prep them the day before and slice them up before your guests arrive. I guarantee you, everyone will wonder how you got the jelly in between the slices. Aren’t you the creative one? You’ll want to send them to the recipe below cause these are definitely a great way to get your fruit and drink in at the same time! Once set, slice into wedges and serve!